Like other major insurers, Suncorp Group has been hit by adverse weather conditions which affected its bottom line in the first half of the 2018 financial year, but CEO Michael Cameron says the company is well positioned for the second half. Suncorp, number one in our Top 50 Brisbane companies by market capitalisation, suffered a drop in its first half profits thanks to the Melbourne hail storm in December. The company's profits fell 15.8 per cent to $452 million after the hail storm contributed to a blowout in natural hazards costs. It was the weakest half-year profit in nearly four years and was well short of analyst forecasts, but Cameron says the December hail storm hit just before they closed their books for the half which led to the headline-grabbing numbers. Cameron says the full year outlook is positive with cost-cutting, new digital offerings and an improving insurance market giving him the confidence to upgrade guidance. Suncorp has maintained its commitment to paying out dividends, even in the face of natural hazards, and says it will keep its dividend of 33 cents per share. Aurizon's future growth is under some pressure as it rails against a Queensland Competition Authority (QCA) draft ruling which reduced the amount that it can charge to users of the Central Queensland Coal Network (CQCN). That draft decision, to be ratified late in 2018, allows Aurizon to earn up to $3.9 billion from its rail operations between July 2017 (backdated) and June 2021. This is $1 billion less than the company had expected to earn. The Brisbane-based company says that under the proposed changes to the network it would earn the lowest regulated return for any major infrastructure asset in Australia. The company has warned it will need to cut up to 20 tonnes of high margin coal a year, valued around $4 billion, and if the draft ruling goes ahead, it could become the subject of further competition reviews. Aurizon says QCA made "fundamental errors" to fully understand the risks it takes when operating coal haulage operations and its stoush with the competition regulator is expected to be ongoing. The dispute overshadows a solid set of numbers for its 1H18 report where it lifted statutory profit by 52 per cent from the prior period which had a $156 million impairment writedown. The company's underlying earnings before interest and tax (EBIT), management's preferred headline benchmark, was down by 5 per cent to $485 million. 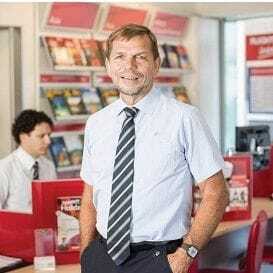 It's a company that's capitalised on the "golden era of travel" and 37 years after starting Flight Centre, founder and managing director Graham Turner says he has no plans to step down. And why should he? For the first six months of the financial year, Flight Centre's revenue jumped 5.4 per cent to $1.37 billion, while its net profit after tax rose 37.2 per cent to $102.2 million. Total transaction value hit a record of $10.2 billion and Flight Centre now expects full-year profit before tax to be between $360 million and $385 million, up from between $350 million and $380 million. The group also declared a full franked interim dividend of 60 cents, up from 45 cents a year ago. It's all been driven by growth in its international divisions as the company undergoes a three-year transformation which will reduce its reliance on the Australian market. The travel group is also looking to expand its online leisure travel sector, corporate travel management business and in-destination travel experience sector, such as its investment in-tour operator Top Deck. 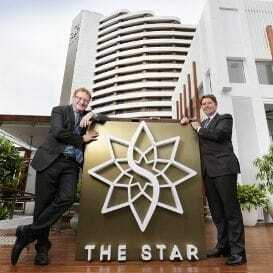 It's been a defining year for the Star Entertainment Group in preparing its new Gold Coast luxury property, The Darling, in the year of the 2018 Commonwealth Games. While Star recorded normalised net profit of $120 million for the six months to December 31, up 12.4 per cent from the previous corresponding period, its International VIP Rebate business and Sydney revenues had softened in early 2018. Overall, the company's statutory revenue grew by 5.9 per cent to $1.36 billion during 1H18, which is a record for a half year period. Throughout 2017, the Star Entertainment Group poured cash into capital works at its Gold Coast, Brisbane and Sydney locations. The company brought on key new personnel including John Autelitano as general manager of The Darling and The Star Grand (formerly Jupiters), as well as Gold Coast icons Simon Gloftis and Billy Cross to co-manage The Darling's new rooftop restaurant and bar. The Star Gold Coast also made headlines when it was named official host of the TV WEEK Logies over rival Crown Melbourne, following a controversial decision to move the awards night from Victoria to Queensland. During the second half, the company aims to deliver on the next stage of its capital works program which includes demolition and excavation at its Queen's Wharf site in Brisbane. It also plans to grow revenue through diversifying its international revenue streams and sustaining capital developments. It's a bit of a favourite with investors, returning an average dividend of 6 to 7 per cent over the past 10 years and this year's half year results were rated as solid, rather than outstanding, by analysts. 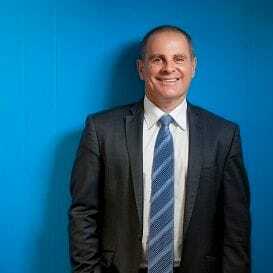 Its net profit after tax rose 8 per cent to $174 million for 1H18 and CEO Jon Sutton says its loan growth was improving steadily because of the pressure from the Royal Commission on the Big Four to tighten their own lending standards. 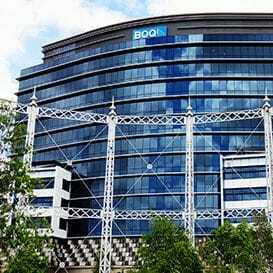 Three years ago, BOQ tightened its lending criteria which led to a loss of market share but the turnaround appears underway with total lending growth of $671 million in the half year. Its loan impairment expense was down by nearly 20 per cent to just $22 million but Sutton says the industry as a whole is facing a number of headwinds, although BOQ remains well placed. "The industry faces challenges of low credit growth, low interest rates, regulatory uncertainty, increasing consumer expectations and increased scrutiny of conduct and culture," Sutton says. "In this environment, our long term strategy remains the right one; we are building out our business bank in higher growth sectors of the economy and opening up new retail channels. "We also remain focused on our customers, investing in a number of initiatives across the group that will improve our digital offering, bring us closer to our customers and enable us to provide them with a differentiated service offering." In the first half of FY18 ALS Limited's new CEO, Raj Nara, fully took the reins from outgoing long-time CEO Greg Kilmister. In his first half, Naran delivered results within guidance and set the company up for a solid full year result. Whilst Naran has the market conditions partly to thank for the result, the good result was in no small part delivered by 11-year veteran CEO Kilmister's work in the lead up to his departure. 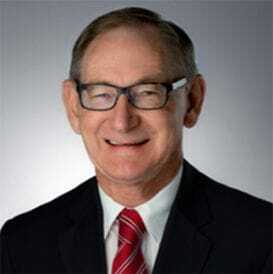 Under Kilmister's leadership, the Brisbane-based company, which was formerly known as Campbell Brothers, entered the ASX100 as it grew from a market capitalisation of $381 million in 2005 to $3.78 billion. But for the past four years, ALS Limited has been in a sustained period of earnings decline as its commodities-exposed businesses have weathered the increasingly volatile market that has followed the resources boom. In the first half of FY18, ALS sold the majority of its oil and gas services business, retaining only the laboratory testing component. The group, in recognition of uncertain market conditions in the coal sector, took goodwill impairment charges amounting to $63 million. The company remains positive as it goes into the second half, with continued capital investment to occur and further development on the way to improve its systems capabilities. With the promise of a 20 per cent net profit growth for FY18, some analysts have questioned whether the pizza chain can deliver on its guidance, although CEO Don Meij asked shareholders to "believe in our second half". 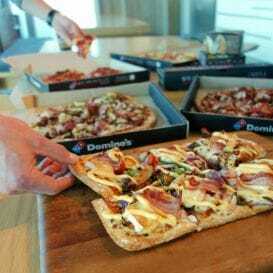 Domino's actually improved its underlying profit by 5.5 per cent to hit $62.9 million while increasing revenue by 5.2 per cent to $567.6 million, but sales in Australia and New Zealand were lower than expected and the company revised down its forecast for same-store growth in the second half from 7 to 9 per cent from 6 to 8 per cent. Japan, with its more than 500 stores, also weighed on the bottom line over the high-volume Christmas period where heavy demand meant they had to turn customers away. "We completely misread that for our business," Meij says. These weak spots have analysts questioning the 20 per cent profit growth targets but it could be helped by a promising expansion into Europe. At the beginning of 2018, Domino's acquired major German pizza chain Hallo Pizza for $48.1 million which added 170 new European stores to the company's empire. Meij said the acquisition formed part of a grand design to operate 1,000 stores in Germany alone. Domino's also recently issued a statement denying allegations that it launched a share buyback scheme to manipulate DMP's share price in support of Don Meij's own margin loans. "The company notes the perception of conflict where there is buyback activity proximate to the share sales buy the managing director even if the sales did not occur at the same time," said company secretary Craig Ryan. "The company confirms that the buyback is not for the purpose of benefiting the managing director or to manipulate the market." Ryan said the company will review and adjust its buyback protocols to "address this perceived conflict". Founder and managing director Jamie Pherous has Corporate Travel Management (CTM) on a strategic international expansion plan which is reaping impressive results. Very few listed companies can lay claim to achieving 23 years of consecutive growth, yet this Brisbane-born and bred business continues its upward trajectory with little to suggest that is going to change. Its half year results showed a statutory net profit rise of 38 per cent to $30.6 million and a revenue rise of 15 per cent to $172.8 million on the back of an unaudited total transactional value (TTV) of $2.26 billion, an increase of 21 per cent. 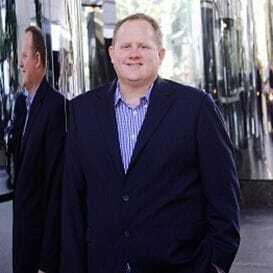 Pherous founded Corporate Travel Management in 1994 with just two staff in a small Brisbane office and he now heads a business that employs 2,250 people, services more than 70 countries and has a market capitalisation of around $2.61 billion. CTM listed in 2010 with an issue price of $1.41. These days it trades well above the $24.00 mark. Last year, CEO of NEXTDC Craig Scroggie said 2017-18 would be the company's "biggest year in history". Some might say he wasn't far off the mark. During FY18, NEXTDC has been embroiled in a mini-trading war with major competitor 360 Capital Group for the takeover of Asia Pacific Data Centres. The tug of war has resulted in each business trying to up each other's bid for shares in APDC and ultimately led to 360 Capital gaining control, with NEXTDC holding a major share in the company. Now that the dust has settled, the companies have continued to fight, with law suits being flung at each other for a variety of reasons. This distraction didn't appear to have a material impact on NEXTDC's bottom line however, with the company posting a net profit of $8.4 million. The result was down 56 per cent on the previous year but it reflects a one-off tax benefit of $11.3 million which boosted the company's margin in 2017. This year marks the end of a five year investment and divestment program for the Cromwell Property Group. The office building manager had an occupancy rate of 92.1 per cent for FY17, up from 89.7 per cent in FY16. Cromwell's portfolio is now worth over $10 billion globally and contains more than 330 properties, housing more than 3,600 tenants in 3.9 million square metres of office space. The company won praise from analysts in March after securing Singapore-based ARA Asset Management as a major backer, with ARA's $405 million investment in Cromwell positioning both groups to expand locally and offshore. The investment fits with both companies' ambitions to grow their real estate platforms globally. The companies both agree that Europe should be a major focus for expansion due to its growing property economy, compared to moderate forecasts for the Australian market. "The appetite of most investors has increased to a point where they are basically chasing large deals (which Europe offers). Half of the considerable outbound capital from Asia is targeting European real estate," says CEO Paul Weightman. Cromwell manages around $6.4 billion in assets under its European platform, which is an increase of 18 per cent from the half year to June 30, 2017. New Hope Group delivered a record first half NPAT of $115.6 million, an increase of 111 per cent above the $54.9 million recorded at the same time a year ago. The company's results were boosted by an increase in sales, improved coal prices, and an increased focus by the group on cost management. The company's acquisition of 40 per cent of the Bengalla coal mine delivered a NPBT of $83.8 million during the first half. The company says it is well positioned to take advantage of improving commodity prices as demand for high quality Australian coal remains strong in Asia. 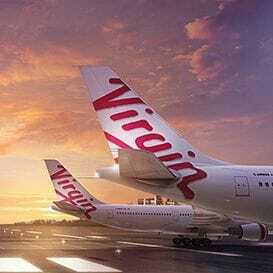 In May 2017, Virgin Australia Holdings posted its weakest quarter in history however the company has since made headway to recouping its losses. At the half year, the company reported a profit of $4.4 million which marked a $25.9 million improvement on its previous corresponding result. Virgin continues to recover from the whopping $220.3 million loss it sustained in 2017. Managing director and CEO John Borghetti said 1H18 represented one of the company's strongest first-half results, due to several key factors. "The improvement was driven by a number of factors including unit revenue and passenger growth, capacity and network optimisation," said Borghetti. "Importantly, we have continued to invest in maintaining a young and efficient fleet while reducing our financial leverage." Borghetti said one of the group's main targets for the remainder of the financial year is to build momentum in the domestic market by bolstering Virgin Australia's position and further transitioning its Tigerair fleet. The group will also focus on new expansion opportunities into greater China. Where many listed Aussie retailers have suffered, Super Retail Group (SRG) also posted weaker-than-expected first half earnings and full-year guidance in what managing director and CEO Peter Birtles has called a time of "unprecedented change" for the industry. SRG grew 1H18 sales by 2.2 per cent to $1.32 billion but first half profit slipped 3 per cent. As the company announced its half years results, it also revealed it had acquired the 55-store New Zealand adventure retailer Macpac. The company says the motivation behind acquiring Macpac is part of a larger strategy to "acquire, consolidate and grow" to create a "big box adventure outdoors retail product" for Australia. In July 2017, SRG axed its iconic Amart Sports brand to make way for a rollout of 68 new Rebel-branded stores which was completed in October. While SRG's share price has tumbled steadily since the beginning of 2018, Peter Birtles is optimistic about the company's decision to further diversify online. "We recognise that growth in the markets in which we operate is most likely going to come from an increase in sales from digital channels rather than from the traditional physical channels," he said. "We believe this dynamic will lead to opportunities for SRG to grow its share of the physical market through delivering a better offer for our customers than our competitors and to substantially increase our share of the digital market." SRG's Auto division, spearheaded by Supercheap Auto, was the star performer during 1H18. It brought in $516.7 million and grew by 5.6 per cent. The end of 2017 marked the seventh consecutive year of profit for Australia's largest car dealer AP Eagers. However, the profit wasn't the best result in recent memory for the company, with its profit of $135.6 million down 4.1 per cent from the previous full year to $135.6 million. The company says challenging market conditions impacted the group's operations in Queensland and South Australia during the 2017 calendar year. In the first four months of 2017 sales were down in Queensland by almost six per cent. During the year, the company made a significant acquisitions in the form of Adelaide's Porsche dealership. The $14 million deal is part of AP Eagers' ambitions to grow its presence in South Australia. The Adelaide dealership is the second Porsche dealership to grace the company's portfolio alongside Brisbane's Newstead dealership. As lithium remains in high demand so will the revenue continue to rise for one of Australia's leading lithium mining companies. Orocobre anticipates that prices for the in-demand mineral will continue to rise, with the company expecting to see an increase of approximately 25 per cent in the second half of FY18. The group's venture in northern Argentina ramped up in 2017, with production increasing to 42,500 tonnes per annum. The company is also working on building a 10,000 tonne per annum lithium hydroxide plant in Japan with partner Toyota Tsusho Corporation. 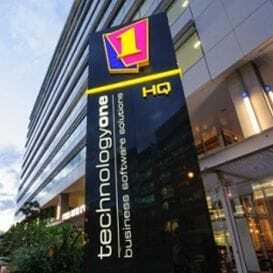 TechnologyOne's annual results to September 30, 2017, showed a continued upward trajectory for the software vendor with 112 new customers added to its cloud business. TechOne now claims to have 270 enterprise customers on its cloud platform and this business turned a $2.5 million profit, compared to a $2.2 million loss from the previous year. Under Edward Chung, TechnologyOne's cloud and mobile first business is driving some strong results. 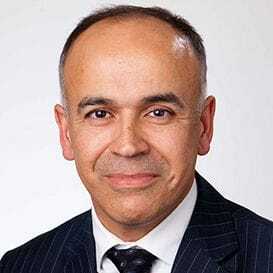 Founder Adrian Di Marco was one of the longest-serving heads of an ASX-listed company when he handed over to Chung last year (Di Marco remains as chairman) and he defied the expectations of the business community in the 1980's that his enterprise would fail. Instead, this is one of Australia's corporate success stories with an 8 percent rise in full year net profit and an enviable 18th consecutive year of record revenues in November. It's no wonder the market takes this business very seriously. Bathroom fixtures and fittings business GWA Group continues to power along, reporting a seven per cent increase in net profit to $27.7 million for the first half. The increased sales were driven by a significant turnaround in the company's 'Door & Access Systems' division, where earnings increased by 68 per cent. During the half, the company opened a flagship store in Adelaide in October 2017, and the group says it is on schedule to launch a flagship store in April 2018 in Sydney. The company should continue to perform well for the remainder of the year, however expected weak conditions in residential construction in Queensland and Western Australia may impact the group. The company recently completed a strategic review of its operations and decided to focus on the 'Bathroom & Kitchens' business. Because of this, the company has decided to divest the 'Door & Access Systems' business in the next six months. Pinnacle Investment Management continues to grow to new heights, with its latest half year report showing there's no signs of slowing down for the wealth management group. Profit for the first-half of FY18 grew to $8.1 million from $2.8 million in the previous year with investors getting 4.6 cents as an interim dividend. During the half year $7.7 million was paid to shareholders by Pinnacle. Funds under management also saw a boost of 21.9 per cent during the half-year from $26.5 billion at 30 June 2017 to $32.3 billion at 31 December 2017. The company divested the Wilsons Advisory Securities business in 2015 which did not impact the group's financials. An acquisitions strategy again boosted the results for National Storage, with the Brisbane-based company now comprised of 113 centres and 35,000 residential and commercial customers. National Storage, which is one of the largest self-storage providers in Australia and New Zealand, went on a shopping spree in FY18, securing 15 more facilities. In 1H18, the group purchased 10 more, plus a development site, which contributed to a 7 per cent increase in total assets under management. Overall, the company saw a 152 per cent increase in NPAT to $59.8 million in 1H18. After posting a $102.6 million full year loss, AACo shut down its unprofitable Livingstone Beef facility in the Northern Territory. High costs and unfavourable seasonal conditions, combined with a $74.9 million impairment, led to the decision which will close the three year old plant which employs 220 people. The company says the Livingstone facility, 50km south east of Darwin, may be reopened if the market improves. The plant was built in anticipation of an "export bonanza" to Asia but CEO Hugh Killen says conditions remain challenging. During the first half of FY18, the beef producer launched overseas in Taiwan in June and performed better than average in its luxury and prestige brands. The group cites increased competitive dynamics in certain markets, a higher Australian dollar, higher input prices, and an elevated cattle price environment as challenges to overcome during the financial year. Navigator Global Investments has its footprint largely in the United States where it owns investment manager Lighthouse. Lighthouse currently boasts around $10.5 billion in assets under management and at the half-year Navigator posted a 14 per cent revenue increase, as well as a net profit before tax increase of 6 per cent. The company was hit with a $36.8 million tax expense after it deferred its assets, responding to a 14 per cent reduction in the US Federal income tax rate. This resulted in a $26.76 million loss after tax, however Navigator's share price continued to steadily climb following the announcement. In March 2018, Lighthouse announced its agreement to acquire Chicago-based investment, risk management and advisory firm Mesirow Financial. Under the agreement, Lighthouse is expected to acquire all the assets of Mesirow's Advanced Strategies (MAS) division once consent has been received by MAS existing clients. A significant position of the MAS team is expected to join Lighthouse as part of the transition. For the second year in a row, Senex recouped its losses by 68 per cent to $2.8 million, and improved its revenue by 31 per cent to 29.8 million. The group, primarily in the business of gas, achieved significant progress on its east coast business and saw solid performance from its oil business. During the half, the group was awarded a prime coal seam gas acreage from the Queensland Government and conducted a comprehensive review of its asset portfolio. This review led to the company focus more on capital allocation to core assets but also meant the company was hit with an $80 million impairment charge. The gas company also revealed it will construct a sales gas compression facility for the Western Surat Gas Project. Collins Foods, the largest operator of KFC restaurants in Australia, and the parent company of the nearly-dead Sizzler chain, had a big year of acquisitions and significant fundraising. In July 2017 Collins completed a $44.1 million entitlement offer, with the funds going directly to paying for the acquisition of 28 KFC restaurants. 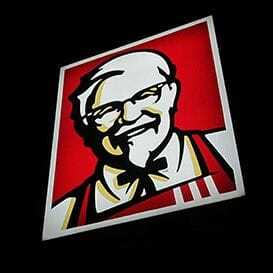 The total price of the 28 KFC restaurants came to $110.2 million and brings the total number of restaurants under management by Collins Foods to 223. The massive acquisition drive in Australia follows 2016's effort to expand and acquire 16 KFC restaurants in Europe from Yum! Brands. The company says operations in the Netherlands are performing to expectations and the group's transformation of its German business is underway. A major milestone for Collins was building the first Australian Taco Bell Restaurant in Queensland, with early trading coming in above expectations. The company has plans to build more Taco Bells, though no locations have been specified. The group's Australian operations continue to evolve with the company embracing home delivery services as well as a successful launch of a KFC app which allows customers to order food ahead of time. Whilst Sizzler in Australia is on the decline, the restaurant is gaining popularity in Asia. Collins opened two new restaurants in Thailand and one in China during the first half of FY18. Cardno's fortunes continue to improve year on year. Following two years of consecutive full year losses, and a profit of $6.5 million in the first half of 2017, the group has secured a first half profit of $13.9 million in 2018. With the business having stabilised from the significant changes made during FY17, the company is now acquiring a new target. However, the company will need to undergo another change of leadership with Andy Goodwin sacked due to his failure to follow lawful directions of the board on the Snowy Mountain Engineering Corporation (SMEC) issue. The SMEC is being investigated by the federal police over allegations of financial crimes. Executive Chairman Michael Alscher has the job of looking to focus on building momentum by investment in organic growth and strategic acquisitions. During the half, the company's Australian revenue was down, due to major projects coming to an end. The company says this is a short term issue. Greencross took a bold line in October 2017 by declaring it didn't fear the arrival of retail giant Amazon in Australia, even when it was facing a "downbeat consumer environment". While optimistic, the claim proved correct when the company revealed strong financial results across the board in 1H18. 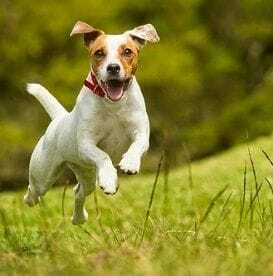 In stark contrast to other struggling listed retailers, the pet products and veterinary company grew its revenue margin by 9 per cent to hit $433.3 million and achieved a profit after tax of $24.4 million, up 11 per cent. Around three weeks prior to releasing its 1H18 results, Greencross also announced a major leadership change. CEO of four years Martin Nicholas stepped down to makeway for Simon Hickey, former CEO of Campus Living Villages and Qantas Loyalty. Chairman Stuart James said Hickey was the ideal choice for the role considering his experience in data and customer loyalty. Greencross is Australasia's largest integrated pet company with more than 190 vet practices, 247 specialty retail stores and a growing online presence in Australia and New Zealand. 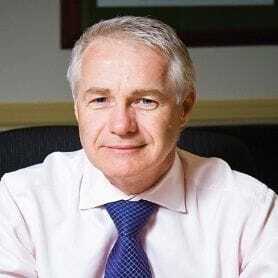 The founder of the telecom and networks provider Superloop, Bevan Slattery, exited as CEO on a high note after his company reported a 533 per cent revenue increase during 1H18. Drew Kelton took over the top job as Slattery moved into an executive director role. Under new leadership, the company now sets its sights on expanding its capability and networks in the Asia Pacific region. Non-executive chairman Michael Malone said Bevan's tenure as CEO has been extraordinary and the decision to change roles has come at the right time. "Bevan has been a terrific CEO and as the core integration effort with BigAir is nearing completion it was becoming increasingly clear to him that his greatest value add was focusing on the strategic opportunities for Superloop," said Malone. At the half year, Superloop's revenue increased to $55.5 million from just $8.8 million at the prior corresponding period. The past year also included several acquisitions for Superloop, including its buyout of connectivity provider GX2 Holdings and Adelaide-based internet service provider NuSkope. Superloop's vast fibre cable network overseas also grew with the addition of TKO Express, the only fibre network of its kind connecting two major hubs in Hong Kong. ERM Power well and truly bounced back from a disastrous first-half in FY17 to an improved 1H18. At the end of the first-half in FY17 the company recorded a loss of $16.4 million. The company recovered that loss, and then some, with a $49.6 million NPAT result for 1H18. The group says the strong earnings result reflects the improved performance of its Australian business which reported growth in sales load. 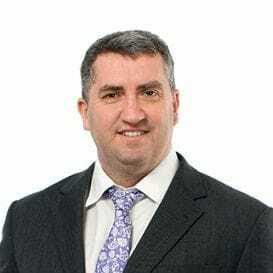 Jon Stretch, the CEO of ERM Power, also says its improved customer service and innovation boosted its earnings. The company's power generation assets, the gas-fired plants at Oakey and Neerabup, performed as expected and in line with the previous corresponding period. The group's US business generated $1.4 million in earnings which is a decrease on the same time a year ago of 26 per cent. The company expects sales to pick up by 71 per cent in the US for the rest of FY18. It has been another stellar year for Megaport, with international expansion and collaboration all raining down opportunities on the Brisbane-based startup success story. In May 2017, the company continued its international expansion plans by establishing a Sydney to Los Angeles link to cater for growing demand for its services outside of its main hubs in Australia and New Zealand. Also in May, the group announced it had entered into a partnership with Chinese tech giant Alibaba to provide its customers with direct access to the Alibaba Cloud, further bolstering its position overseas. The group's financials were delivered a healthy injection of $27.8 million from a round of capital raising which the company deployed to its various international expansion programs. At the beginning of 2018, the company announced it had joined forces with IBM Cloud to provide direct connectivity to the IT giant's cloud-native services, as well as launching new services in Colorado and New Zealand. At the end of the first half, the company reported impressive revenue growth of 98 per cent and announced the launch of new tech that is sure to boost the company through the rest of FY18. More recently, Megaport announced it had hired the Royal Bank of Canada and Morgans to help it raise $60 million to upgrade its network capacity and accelerate its expansion into new locations and markets. Antipodes had a stellar first full-year on the ASX recording a profit increase of 15.1 per cent to $18.4m in the first-half of FY18. The group, which listed in October 2016, initially targeted US software and natural gas for its investments, which has paid off. Antipodes initially raised total capital of $313 million by issuing 284.8 million shares at a price of $1.10 per share. Tough business conditions in the United States and a new strategy to reshape the business' brand has left Michael Hill in a weaker position than it was in last year. After announcing less than stellar half-year results from poor sales performances in the United States, the company has announced it is closing a number of stores as part of a rebranding strategy. In January, the chain pulled out of its US experiment because it did not gain sufficient traction required to scale-up the business. The jeweller's half year results showed group revenue increased by 4.6 per cent and same-store sales in Australia remained flat while US segment sales declined by 10 per cent for the half. Michael Hill will also close most of its struggling Emma & Roe stores as it moves towards its plan to create a "demi-fine" jewellery market. The Brisbane-based company will close 24 of its 30 stores by June 30 at a cost of up to $7.9 million to create a "concentrated store footprint" in the demi-fine segment. "The company considers that the six-store footprint will provide the opportunity to iterate the new model at speed," the company said in an ASX statement in March. Several high-profile international partnerships and acquisitions were the highlights of a strong 1H18 for EML Payments. The company increased its revenue and net profit margins by 18 and 50 per cent respectively and boosted its earnings before tax depreciation and amortisation (EBTDA) by 35 per cent to hit $13.47 million. The results were an affirming nod for the company which, in February this year, acquired Sweden-based Presend Prepaid Solutions to expand its reach into the Nordic and Baltic areas of Europe. In recent months, EML struck major partnerships with InfoSync Services in the US to provide B2B systems for more than 7,500 restaurants and the Fortuna Entertainment Group, where it rolled out its reloadable gaming card service across several central European countries. The company also signed contracts for reloadable card solutions with multiple other European gaming operators including BETDAQ and Betsson. EML said in February that it remains "in contract negotiation" with a further six companies in the region. Before the end of the financial year, EML said it is on track to launch its payments service on all the major mobile "PAY" apps, including Apple Pay, Google Pay and Samsung Pay. Metro Mining, a newcomer to the top 50 last year, reversed its fortunes a year later posting a loss of $3.6 million for 1H18. This loss was the result of the group's 39 per cent interest in Gulf Alumina Limited. Metro's construction program at Bauxite Hills is largely complete with mining operations on schedule to start Q2 2018 after the end of the region's wet season. While the company was in a non-revenue-making state throughout the half, it maintains a current financial asset base of more than $21 million including $19 million in cash and cash equivalents. Apollo's aggressive acquisition strategy has continued to pay off for the company, raising its first half profits by 64.4 per cent to $16 million. The profit for the first half, which was quadruple what Apollo recorded in 1H17, was driven by acquisitions and the effective integration of new businesses. During the half, its strong stable of brands which include Winnebago, Adria, and Talvor were joined by new acquisitions Sydney TV, Kratzmann Caravans and George Day Caravans. Recently, the company expanded off Australian shores into the European market after acquiring Camperco Group Ltd, one of the largest RV businesses in the United Kingdom. The group's strong performance is expected to continue into the second half of FY18. Apollo is led by managing director Luke Trouchet, who helped turn the company from a family-run business into an ASX listed success story. Leading up to the end of 2017, Sunland Group re-stated its laser sharp focus on the residential market in south east Queensland; a focus that has served it well. The company has eight new major projects planned for delivery in 2018, worth a total of $1.4 billion, which are mostly in south east Queensland. These include the Marina Concourse at Royal Pines, with 60 per cent pre-sales of the 110 residential apartments, and The Lakes Residences at Mermaid Waters where all 67 homes had sold. The group made a major acquisition in September 2017 in the form of a 2.29 hectare site in the Brisbane suburb of Chapel Hill, seven kilometres west of the CBD, for almost $6 million. Sunland's total portfolio now comprises 5,600 residential housing, land, and multi-storey products along Australia's east coast with a value of $3.9 billion. Data#3's director Richard Anderson admits that the tech company had a challenging start to the year, with profit slipping substantially lower than the strong result the same time last year. This poor performance reflected both planned and unplanned events that occurred during the first half including customer delays and supplier delivery constraints during November and December and the planned decommissioning of the Data#3 Cloud platform. Additionally, the lack of a large-scale integration project in the first half put pressure on the group's Professional Services contribution. The second half will see Data#3 undertake two large projects, which will help achieve the planned full year profit. During the first half, coal seam gas miner Comet Ridge focused on exploration and appraisal activities throughout its central Queensland permits in the Galilee and Southern Bowen Basins. The company completed a successful $10 million placement and share purchase plan which helped support its Mahalo Project, a large undeveloped gas project in the Denison Trough area of Bowen Basin. Four wells are now online at Mahalo and the company says they are producing gas at steadily increasing rates. At its Galilee Basin asset, Comet Ridge is continuing discussions with several parties in relation to the supply of both sandstone gas and coal seam gas from the site. "There are several connection points and supply options available and the company continues to evaluate the commercial options," said Comet Ridge in a market update. "Evaluation work continues on each of the options." Lady luck has been on Jumbo's side this year as the online gaming service recorded a string of high profile jackpots which attracted new consumers to its platform yet didn't break the bank. Total transaction value, revenue and profit margins all increased at the half year compared to the previous corresponding period, due to improved customer engagement and activity brought on by 18 jackpots worth a collective $480 million. Revenue grew by 20.7 per cent to hit $19.32 million while the company more than doubled its profits to hit $5.31 million. While 18 jackpots is a significant amount, Jumbo says the 'high water mark' came in December 2015 when the company recorded 24 large jackpots. "Three extra major jackpots at the end of December 2017 resonated well with our customer engagement efforts helping drive ticket sales beyond the original guidance," said CEO and executive director Mike Veverka. Jumbo also recorded a positive impact to its profit margin following the discontinuation of its German business which ceased trading in December 2016. Despite the company's best efforts, Collection House's profit remained largely unchanged from 1H17's in 2018, with a NPAT growth of 6 per cent being driven by a more conservative PDL amortisation rate. Freshly minted CEO Anthony Rivas says over the last year he's made his best efforts to improve the situation of the company. "In the last 12 months we have made considerable operations progress and brought in the right talent to take us forward," says Rivas. For the rest of the financial year, the group is focusing on expansion. Collection House makes its money from chasing debts on behalf of clients and also buys debt lists at a discounted rate so they can profit from recovery. ImpediMed continues to bet on the eventual success of its SOZO device despite suffering yet another half-year loss. The group's half year loss was even worse than 1H17, down 5 per cent to $14.4 million in losses. However, the company says its SOZO device will eventually pay off, with contract value signed for the period under a new subscription model at $1.5 million with $1.2 million revenue in the pipeline, according to ImpediMed. CEO Richard Carreon called Sozo a "game changer" as the device monitors fluid changes in the body which can help manage chronic health issues like heart failure. For the past seven years, the Blue Sky story charmed the market and investors with a seemingly routine run of positive announcements but the company's momentum hit a sudden halt in March, 2018, and then descended into freefall and chaos because of a scathing report by a US short seller. That Glaucus Research report caused a nearly-80 per cent plunge in the company's share price and led to two major board purges including the resignations of managing director Robert Shand, chairman John Kain and veteran board member Michael Gordon who stood down for health reasons. At the core of the Glaucus attack on Blue Sky was the claim it "wildly exaggerated" its fee earning assets under management (FEAUM) and that its share price was worth just $2.56, instead of its price of around $11.50 at the time the report was released. Glaucus also claims Blue Sky may be compensating for its overstated FEAUM by charging clients "egregious" management fees. With the company in damage control, interim MD Kim Morison says the Blue Sky board has agreed that an immediate priority is to rebuild trust with stakeholders by making significant changes to the business and management model and improve its disclosure procedures with investors and the market. The company has started the search for a permanent managing director to replace Morison, as well as new independent directors to fill out the board. Blue Sky says it hopes to have these positions filled before the AGM in October. Blue Sky's investment strategy is driven by their focus on what they call "the essentials"; investing in things people need rather than what they want. This lead to a focus on investing in sectors like food, water, agriculture, healthcare, education, retirement, and technology. Alliance Aviation felt the wind under its wings during 1H18, lifted by increased demand across all divisions including contract, chartered and allied aviation services. Total revenue rose 16 per cent to hit $117.2 million while its profit before tax margin also increased by 19 per cent. The company has attributed its recent success to increased flying hours across all revenue streams. Wet lease hours more than doubled while regular passenger transport hours increased by 137 per cent. The charter division has also enjoyed steady activity over the half year. Due to increased demand for its services, Alliance recently brought two new aircraft into its fleet and trained new flight crew and engineering staff. Managing director of alliance Scott McMillan said the capital works put Alliance in a strong position to close out the full year. "The business has seen a substantial increase in activity over the last six months and this is expected to continue," said McMillan. "The investment made in both fleet units and associated resources puts Alliance in a strong position to capitalise on additional capacity requests from existing and prospective clients." The second half of FY18 is expected to exceed the first half's financial performance, with the resource sector generating the bulk of activity over the coming months. Australia's largest motorcycle dealership had another record year, with record motorcycle sales and revenues in the first six months of FY18. 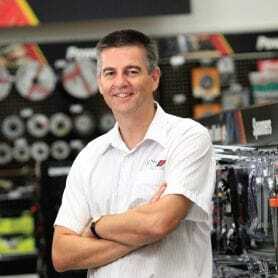 However, the company reported a drop in net profit of 25 per cent to $4.2 million for the half year as it continues to increase its market share despite the "adverse conditions" in the motorcycle sales industry. The company bought Cassons, a wholesaler and retailer of motorbike accessories and parts for $123 million in the first half which Ahmet says made "strategic sense". The new stores and the Cassons acquisition will provide significant opportunities to lift sales and reduce costs across the group as the industry as a whole faces a downturn in sales. While Vita Group spent the majority of FY17 recovering from a document leak which called the control of its Telstra assets into question, the company started to improve its performance during the first half of 2018. Vita Group, which operates more than 120 Telstra businesses, upgraded its earnings (EBITDA) guidance in January and hit its target of $20 million in EBITDA at the half year. Company revenue and profit margins declined across the board from the prior corresponding period, due largely to remuneration reductions and a market movement toward lower-margin items including devices and contracted plans. Despite this, the company is optimistic about its position. "This is an exciting time of evolution for Vita Group," said CEO Maxine Horne. "We have established a very strong and profitable business. We have recently delivered on our strategic intent, which is to take our proven core competencies into a new attractive category." Horne refers to the company's $9.5 million acquisition of Clear Complexions, a skin treatment company which focuses on non-invasive medical aesthetics, which took place in November 2017. At the beginning of the year, Horne also weighed in on the tech and entrepreneurship landscape, saying that she'd like to see more Aussie businesses which are pushing the boundaries. "In 2018, I'm hoping to see more people being encouraged to take calculated risks, to not be afraid of challenging the norm, and to actually convert their ideas from paper into action," she said. Shine Corporate has returned to the top companies list after a two-year hiatus, partially recovered from the share price wipe-out it suffered in 2016 which took its stock value from $2.00 to $0.53 in a matter of days. The company almost doubled its profits at the half year to reach $7.1 million and increased revenue by more than 19 per cent. Today Shine trades at around $1.00, following a year's worth of effort into improving its business and client experience. Managing director Simon Morrison says the company is a "stronger business than it was a year ago" as it continues investing in leadership and organisational capability. "We are satisfied with the results to date, but there is more to be done during the next phase of our growth and transformation." At the full year, Shine is expecting a modest EBITDA increase. Stanmore Coal returned to profitability during the first half of 2018, posting a profit before tax of just over $8 million and a 39.4 per cent increase in revenue of $82.77 million. The result was a significant leap from its previous corresponding loss of $541,000 and was partly due to progression at its Isaac Plains East Project. Managing director Dan Clifford said the company is well positioned to capitalise on market conditions given its improved production, cost performance and extensive planned maintenance during 1H18. "The committed predevelopment capital and EA grant for Isaac Plains has put the company in a great position for substantial growth in returns," he said. "Metallurgical coal demand is strong and it's our view in the long term it will remain that way, giving Stanmore, with the right fundamentals in place, the perfect opportunity to become a relevant participant in the sector." 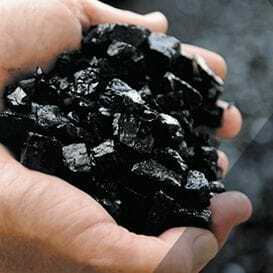 Stanmore Coal is expected to benefit from strong production performance and cash flow through the full year. Property managers Garda ended the FY17 financial year in good spirits, selling the Civil Aviation Safety Authority national headquarters at Brisbane Airport for $23 million. Since then the company has generated a net profit of $4.7 million, an increase of $1.1 million compared to the year prior's half year profit of $3.6 million. The property moguls, during the first half to 31 December, acquired nearly 4,000 sqm of land at Botanicca Corporate Park in Melbourne and continued the expansion of their capital improvements plan which has been largely focused on the Cairns and Richmond assets. Throughout the first half of 2018, Blue Energy was in a state of exploration and evaluation, and as a result is still generating losses. The company paid out around $654 million in operating and administration expenses, the largest slice of which went to employee benefit schemes, and it generated nominal revenue of $22 million during 1H18. Blue Energy said its cash and cash equivalent reserves totalled around $1.6 million, which the board says is enough to fund the company's minimum expenditure commitments for at least a year. However, the Blue Energy board revealed a degree of material uncertainty around its ability to continue as a non-revenue-generating business, which independent auditors Ernst & Young (EY) addressed in their report. "[The financial report] describes conditions associated with the entity's ability to meet its exploration and evaluation commitments with its existing cash reserves," said EY. "These conditions indicate the existence of a material uncertainty that may cast significant doubt on the group's ability to continue as a going concern and therefore whether it will realise its assets and discharge its liabilities in the normal course of business." Reef Casino Trust, which owns the Cairns Casino and a Pullman Hotel, had a rough start to the year thanks to an absence of flights from China into Cairns, but the company picked up those losses later in the year. Slower trading meant the group's full year profit (to 31 December 2017) was down 5.2 per cent to $5.64 million. The casino and hotelier also suffered from increased and "aggressive" local competition in from clubs and hotels in Cairns with their own pokies. The group's refurbished facilities helped the group's casino complex perform well in the second half of the year, contributing to strong casino and hotel performance. In the space of a year, Silver Chef has gone through some rough times, coming out of the end of 1H18 with a loss of $13 million. However, the company says it has a plan that involves a serious restructure of the business and a new way of thinking about what the brand is about. Silver Chef announced in its half year results that it would ditch its GoGetta equipment financing operations to focus exclusively on the growth of its core hospitality business in Australia and internationally. The group's decision to ditch GoGetta triggered the renegotiation of a $350 million senior corporate facility and the cash associated with the exit from GoGetta will be used to repay the SCF. Global listed fintech company GBST Holdings suffered a profit dive of nearly 50 per cent in the first half but managing director Robert DeDominicis wasn't fazed. "These results are on target and we are pleased with the improvements compared to the preceding half and the operational efficiencies delivered," says DeDominicis. Indeed, the group's cash inflows were up 64 per cent to $5.4 million in the half, representing an 118 per cent conversion of earnings to cash, but with its NPAT diving from $6.2 million to $3.6 million the company can't be completely comfortable. During the half, the company made progress with its E-VOLVE program and it is moving ahead with a number of R&D initiatives. The company also recently struck up new distribution partnerships in Japan and North America which should create new revenue opportunities for GBST.